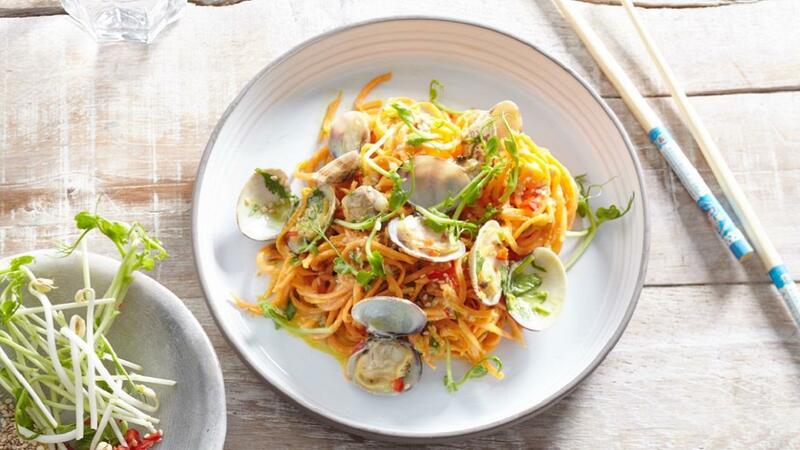 Spiral the sweet potato for a bright orange noodle, served with clams and coconut sauce spiced with super food turmeric. Re-heat the wok. Add the vegetable oil and the clams. Turn the heat to medium, add garlic, chlli pepper, coconut milk and Knorr® Professional Liquid Concentrated Vegetable Base. Add ginger, turmeric and lime juice. Season to taste.